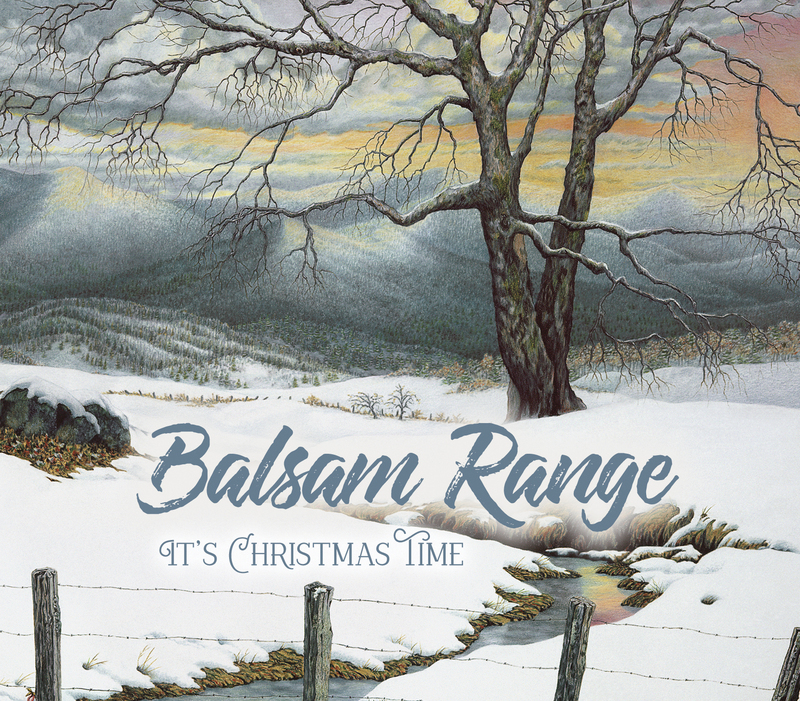 Nashville, TN (September 13, 2017) - World-renowned Bluegrass quintet BALSAM RANGE delivers an orchestrated holiday EP of contemporary and traditional tunes on October 27. IT'S CHRISTMAS TIME features this award-winning band with the guest talents of the Nashville Recording Orchestra. This is the group's first Christmas project, and the result is unexpected, magical, exciting, reflective and genuine. Fans can pre-order HERE now to get in the holiday spirit early. The EP opens with Doc Watson's minor key "Christmas Lullaby," and blends the band's powerful vocal harmonies with a lush string section. The Nashville Recording Orchestra is presented as a lead instrument, personifying the concept behind this effort. As BALSAM RANGE spokesman Tim Surrett reflects, "We wanted the orchestra to become a true part of us for this outing - and not be just a backdrop. We had to take a bit of a different approach to make it work, but I think the result was worth the effort." "The First Noel" features a subtle orchestra and guitar intro and the three-part harmonies that are such a signature of the group, which was honored as IBMA Vocal Group of the Year and Entertainer of the Year in 2014. The track keeps with the expected tempo and style, but the scope and richness of the sound are breath-taking. "Rockin' Around The Christmas Tree" spotlights a sassy sax solo by Sam Levine in a nod to the late, great Boots Randolph, and 2014 IBMA Male Vocalist Of The Year honoree Buddy Melton's vocal brings a lighthearted and optimistic feel to the song. Darren Nicholson sings lead and blows the listener back to the hills of Appalachia on the Stanley Brothers' "I'm Going Home, It's Christmas Time." The traditional Bluegrass number, from which the project's title is taken, presents a mid-tempo drive with a banjo kick; it is the only track without orchestral backing. The classic hymn, "Hark! The Herald Angels Sing," is an extraordinary vocal achievement with a complex yet graceful arrangement; a blend of the rustic and symphonic that is highlighted by mandolin, banjo and wistful string interludes. IT'S CHRISTMAS TIME closes with an instrumental take on "Jingle Bells." Perhaps the most unexpected marriage of 'grass and gloss, the orchestra mirrors the band throughout, and then takes exceptional solos, adding an immediate vibrancy to a well-loved classic. These native Western North Carolinians have created a beautiful addition for holiday music playlists. Buddy Melton (fiddle, lead and tenor vocals), Darren Nicholson (mandolin, octave mandolin, lead vocals, baritone and low tenor vocals), Dr. Marc Pruett (banjo), Tim Surrett (bass, dobro, baritone and lead vocals) and Caleb Smith (guitar, lead & baritone vocals) produced and recorded the project at Crossroads Studios in Asheville, North Carolina for Mountain Home Music Company. Cody McVey wrote the arrangements for the Nashville Recording Orchestra and Bobby Shin recorded the orchestra at the Library Studios in Nashville. The cover art is a reproduction of a stunning, colored pencil drawing, entitled Cold Mountain, by Haywood County, North Carolina's Teresa Pennington. BR, formed in 2007, has become one of the genre's most award-winning acts in recent years, garnering 10 International Bluegrass Music Association Awards on the heels of six critically-acclaimed albums. This year, they are nominated in eight IBMA categories. The group has left audiences spellbound while headlining major festivals from coast to coast, selling out venues across the nation, and in multiple appearances at the Grand Ole Opry. Their previous outing, MOUNTAIN VOODOO, debuted at #4 on the Billboard Bluegrass Albums Chart and remained on that chart for 45 weeks. Three singles from the album reached #1 on the Bluegrass Today Chart, including "Blue Collar Dreams," which spent three consecutive months at the top.